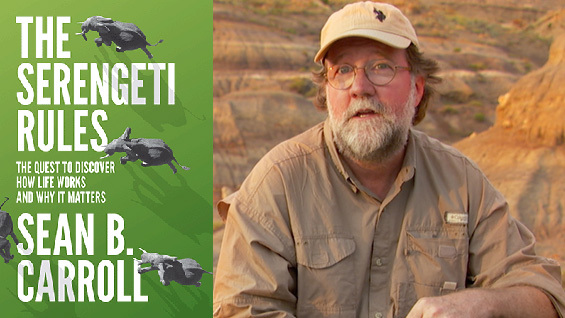 In a free, public discussion renowned biologist Sean B. Carroll reveals how what we know about medicine can be applied to large ecological problems that affect the survival of humanity as outlined in his new book, The Serengeti Rules: The Quest to Discover How Life Works and Why It Matters. He appears in conversation with Carl Zimmer, New York Times science columnist and author. One of the most important revelations about the natural world is that everything is regulated—there are rules that regulate the amount of every molecule in our bodies and rules that govern the numbers of every animal and plant in the wild. And the most surprising revelation about the rules that regulate life at such different scales is that they are remarkably similar—there is a common underlying logic of life. Carroll recounts how our deep knowledge of the rules and logic of the human body has spurred the advent of revolutionary life-saving medicines, and makes the compelling case that it is now time to use the Serengeti Rules to heal our ailing planet. Sean B. Carroll is an award-winning scientist, writer, educator, and executive producer. He is vice president for science education at the Howard Hughes Medical Institute and the Allan Wilson Professor of Molecular Biology and Genetics at the University of Wisconsin–Madison. His books include Endless Forms Most Beautiful, Brave Genius, and Remarkable Creatures, which was a finalist for the National Book Award for nonfiction. He lives in Chevy Chase, Maryland.